Climate controlled facilities to provide your crews comfortable break area accommodations. 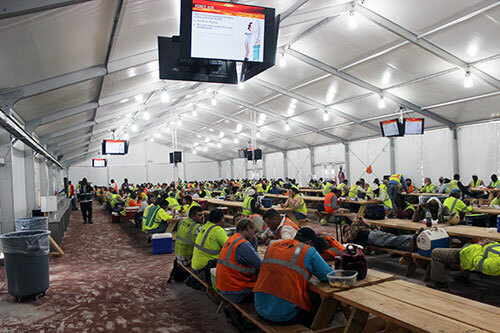 Mahaffey provides lunch tents, dining facilities and break areas for refineries, petrochemical plants and other industrial facilities that require on-site, climate-controlled accommodation for turnarounds and plant shutdowns. Mahaffey can install dining facilities on-site with cafeteria-style seating to serve 50 to 3,000+ people. They can be equipped with generators for power distribution, as well as lighting and an array of flooring options. Depending on your food service needs, refrigerated and freezer trailers can be brought to your location. We can even provide full-service food preparation and cooking areas, as well as on-site shelter for catering personnel. Mahaffey structures are 100% portable, meaning we can easily move them to a different location if needed, making them ideal for industrial or construction sites with expanding needs. Interested in a blast-resistant structure? To complete your job site operations, Mahaffey will install a portable lunch tent, break area or dining facilitity on-site with cafeteria-style seating to serve 50 to over 3,000 people. 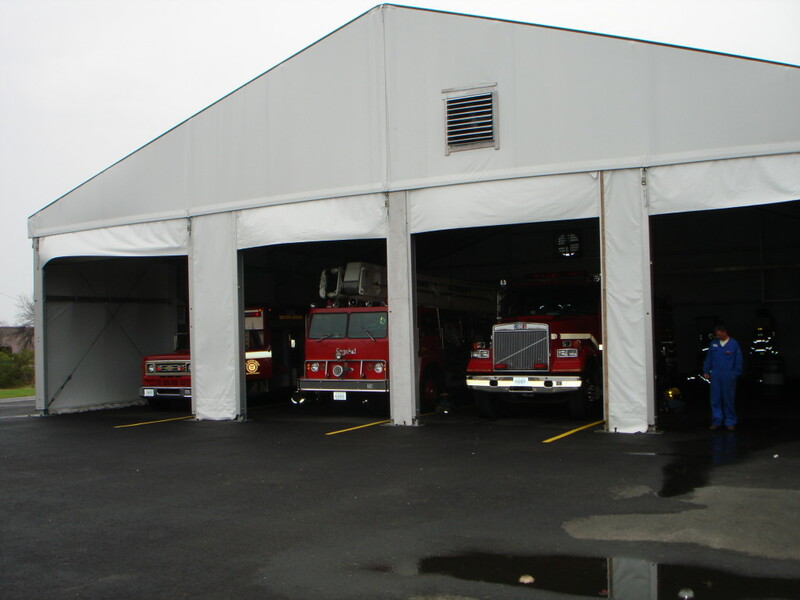 These tents are engineered and can be quickly erected, dismantled and relocated as your project needs change. Our experienced installers hold the following credentials: TWIC, DISA, OSHA and site-specific. Often times, companies such as oil refineries and utility plants experience significant delays due to the environments in which their employees work in. Whether it’s because of the frigid cold temperatures in the North or the extreme heat of the South, working conditions can be the key factor in deadline setbacks. Mahaffey has provided construction shelters for concrete pours, plumbing installations, and masonry jobs to protect operations from wind, rain, and cold. This is especially important during harsh conditions to maintain proper curing, as well as to keep crews working, regardless of the weather outside. 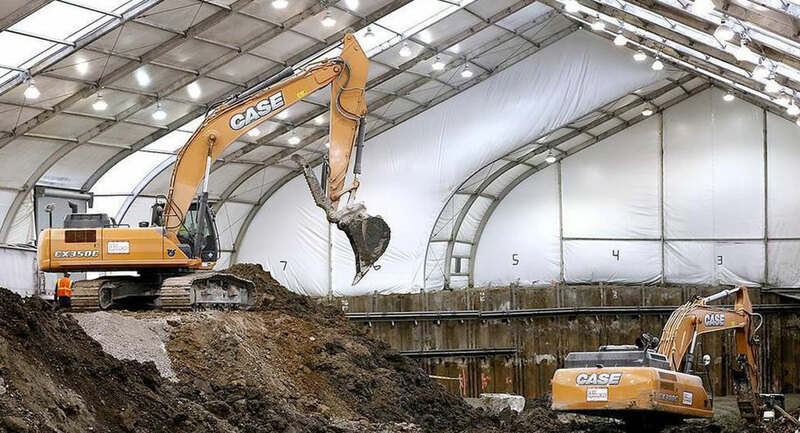 Mahaffey offers a wide variety of temporary storage enclosures designed specifically for pollution containment and environmental remediation. 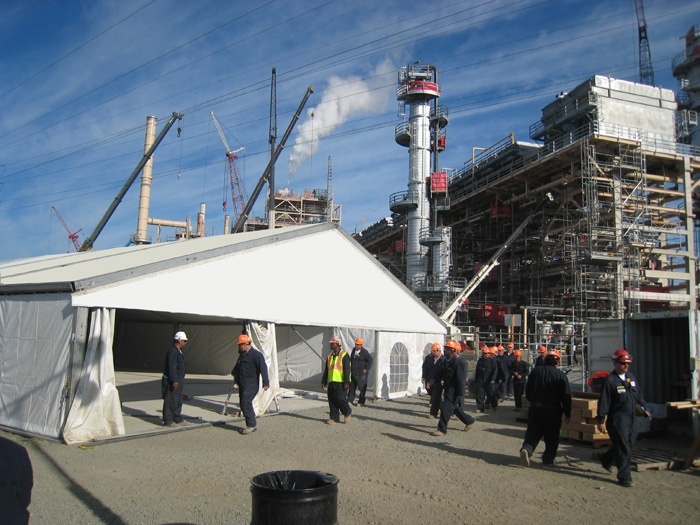 Large structures can be utilized to enclose a hazardous material spill, which purifies dangerous gases by using negative pressure filtration equipment. Relocation, expansion, and new construction create the need for temporary space to continue business as usual. From a single, relocatable office to a complete multi-sectional facility, Mahaffey will deliver a high-quality, innovative solution customized to your requirements.